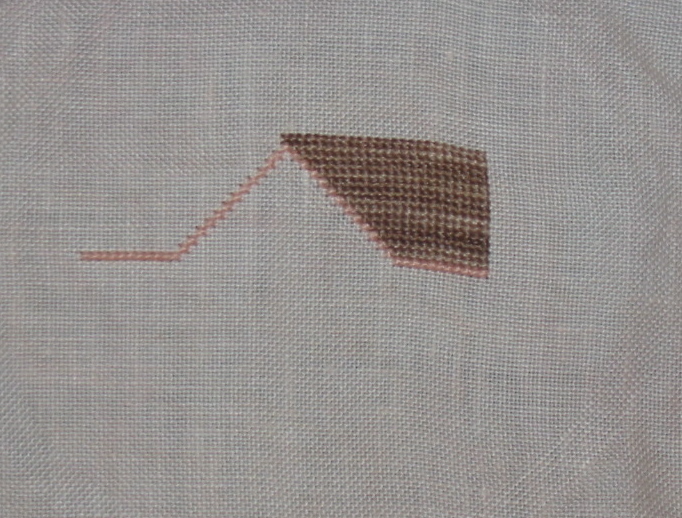 Several stitching projects in this post. They have all come together on the first full moon of the year. 1. WIPocalypse 2012 – a group created by a fellow stitcher to work on the multitudes of WIP’s that most of us have. I have totes full. So I decided to join and here is my work on Aunt Ina by Indigo Rose so far. I was able to get some of the satin stitching done on the center motif. 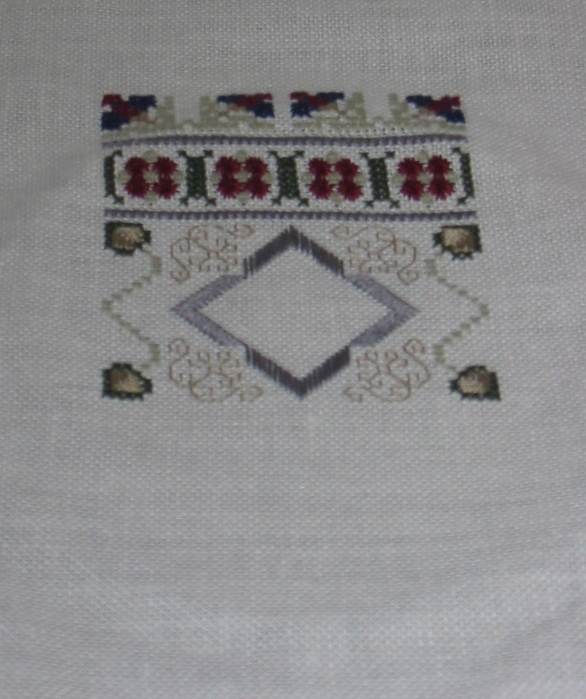 At least it is a start at completing some of my WIP’s. Thanks Measi for giving me a jump start on finishing up my numerous WIP’s. 2. Day 8 and Day 9 Crazy January 2012 Challenge. Day 8 is Peach Tree Cottage, I did half of the roof of the cottage. 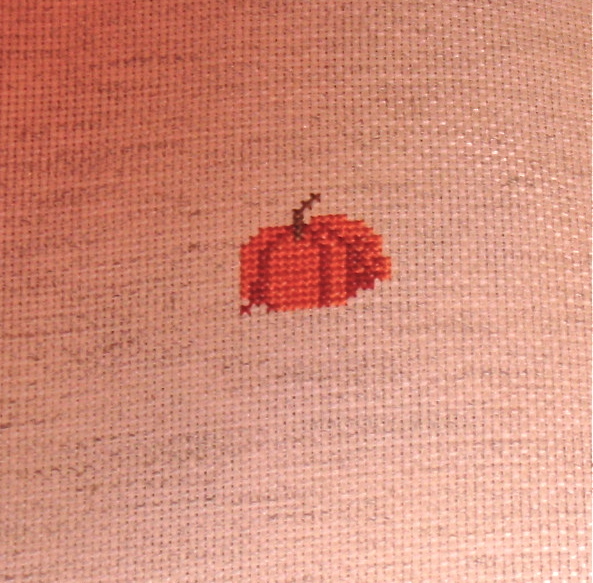 Pretty good starts for this weekend stitching. This is my contribution to Sophia’s TW border Band Sampler. 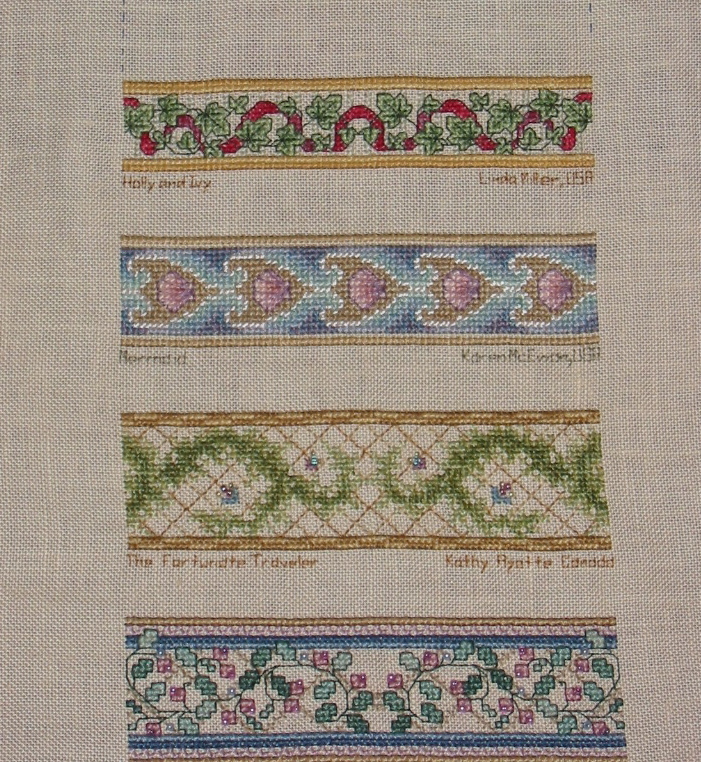 I decided to do the top border of Holly and Ivy Sampler since it was Christmas time when I received the RR. 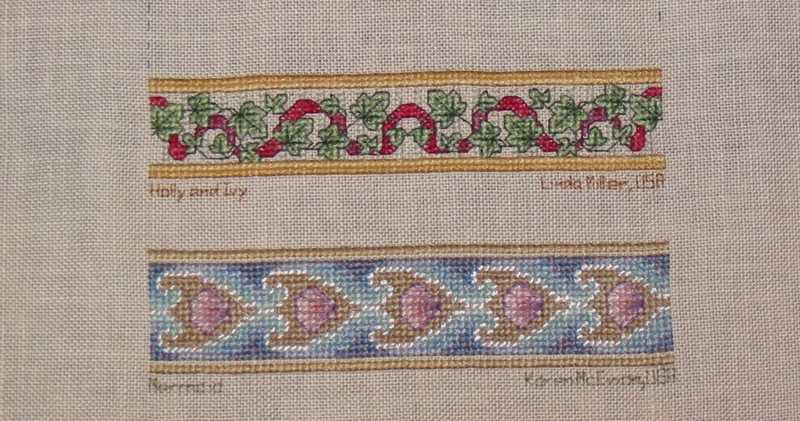 I love Teresa Wentzler band samplers because the borders are gorgeous. 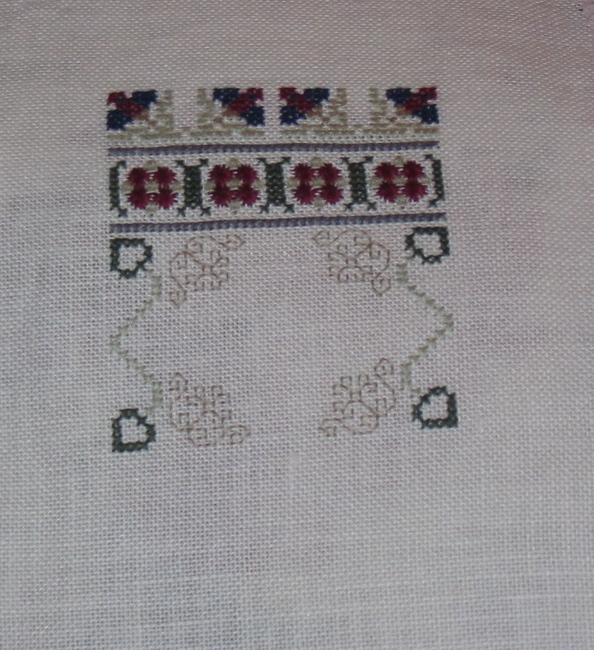 Lots of stitching this last week and weekend.